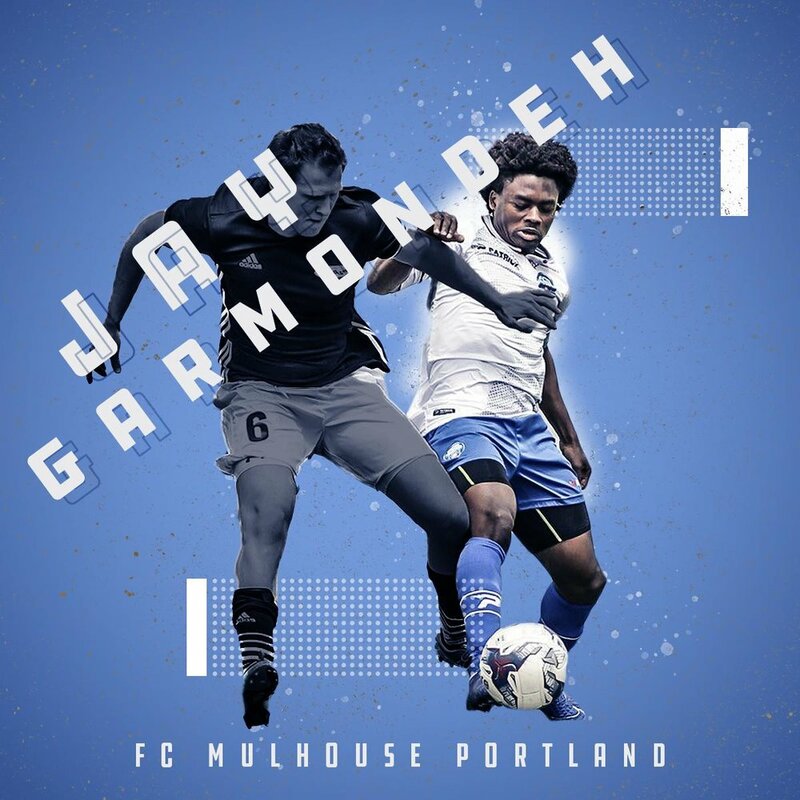 Let's start at the start, you play for NPSL Northwest side FC Mulhouse Portland, did you grow up in Portland? Where did you go to school? Did you play soccer at school or club soccer or both? Yes I play for FC Mulhouse Portland wearing the number 10. I grew up in Liberia, which is a country in West Africa and I lived there for 12 years before coming to the US. In Liberia, soccer is very popular in terms of how often it’s played in communities and watching it on TV, it’s part of our culture. There are no academy or organized leagues so you growing up learning to play on the streets with friends. You create a team with your friends and find other communities of kids to play against in a game. We played bare footed without cleats or shin guards and we made jerseys out of t-shirts and wrote numbers on them. I remember soccer was an everyday thing for me; after school or on the weekends I would just walk around my neighborhood trying to find pickup games. Those were the best time. When I got to the US it was in the summer and my dad was a referee so I would follow him to his games. That was when I got exposed to organized soccer and saw kids playing with matching jerseys, shin guards and cleats all the time. I started playing soccer in the US at recreational level at the Aloha Youth soccer club. Then I got invited to play competitive with the Westside Metros academy (which is now the Westside Timbers academy) where I played throughout middle school. I had to stop playing for the club after middle school because the money was too much for my family. I was disappointed by that but I understood. I went to Aloha High School in Beaverton, OR and I didn't play soccer in high school because I was part of a competitive cross-country team. Did FCMP recruit you or did you go looking for the next level and came across them? How's the standard of play there versus what you've seen playing other NPSL clubs? In college I was recruited to run track and cross country but after a year or so I decided I want to play competitive soccer again. I started training by myself, then playing in Sunday leagues to keep gaining experience until a friend of mine told about a team he used to play for and he took me there to train and tryout for them. Back then it was the Portland Spartans which is now FCM Portland. I’ve been with the club ever since and this upcoming season will be my fourth season with them and I would like to wear the captain’s armband one day. Compared to other NPSL clubs, the standard of play on my club has gotten better then when I first started playing there and I feel like we are there now. Our coach wants us to be discipline and to work for the team so if you’re coming off the bench you have to be ready to make an impact. What position(s) do you play? What drives you? Are you looking to make it to the next level or are you just enjoying life and playing on the side? I am a winger, left or right but my best position is the left wing. I also have experience as a striker or an attacking mid. I am very competitive and passionate about the game and that's what drives me. On my team you have college players and former pros with lots of experience so to be able to compete with them I have to work harder. Which means training by myself at school in terms of running, passing the ball against the wall, shooting, weight room and skill moves. To compete with the other team in the league I have to be ready mentally. This off season I focused on attacking and improving my left foot to be more accurate with it. We don’t get lot of exposure in the NPSL but I definitely would like to play at the next level. Right now, I'm in school at Oregon State studying electrical engineering so that has priority but I train on my free time to improve my game. How do you know when you've "Made it?" What does that mean to you? If USL or a NPSL Pro team came knocking, would you give it a shot? At this level I always need to work on my game and there is always more room for improvement. As a player you’ve made it when you are playing at the most competitive level and we soccer players have lots of ambition. If a USL or NPSL pro team came knocking it would be a huge opportunity and a decision would be after talking with my family. I have about a year and a half left in school before I graduate but you never know. Right now, I’m just focus on working for my team. Who are you most looking forward to playing against this season? Is there an actual rivalry with PDX FC or are they just two clubs in the same town in the same league? This season I’m looking forward to playing against Spokane Shadow, they were first in the conference last season and I’m sure they have gotten better. Yes, there is a rivalry with PDX FC, it’s very intense playing against them. I think they will be one of the tougher teams in our conference this year. They also have Ryo (Asai) who will have a full season with them and he’s really good. It makes me happy to know that both of our teams represent Oregon in the NPSL and I hope more clubs join our conference from Oregon. You guys went pretty far in the playoffs last year; give me your predictions, who wins the Conference? Region? and League? It’s hard to make predictions because of the quality of teams we have to compete against. We can only focus on what we can control which is working hard in practice to develop chemistry within our team, being discipline and adding more depth to our team. I think if we can do that, we will have a successful season. But each year our focus is winning the league and hopefully we can do that. Player Profile graphic artwork provided by Cory Mizer. For more of his artwork, check out his gallery on our site.